The IP500 Universal PRI Single Daughter Card (700417439) and IP500 Universal PRI Dual Daughter Card (700417462) provide single and dual primary trunk interfaces on Avaya IP500 business telephone system. 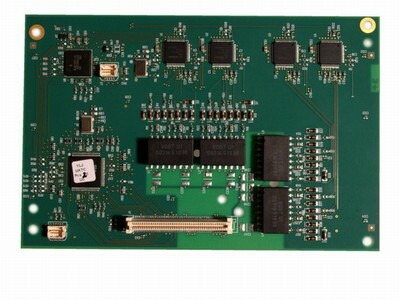 This type of card can be added to an IP500 Digital Station card, IP500 Analog Phone card, or IP500 VCM card. It allows that card to then also support primary rate digital trunk connections. Available in single and dual versions the IP500 PRI card provides single and dual primary rate trunk interfaces respectively. The PRI is configurable for T1, E1 or E1R2 MFC use depending on the territory. IP500 Universal PRI Single Card can support up to 24 T1 channels or up to 30 E1 channels. IP500 Universal PRI Dual Card can support up to 48 T1 channels or 60 E1 channels. Details of the supported ISDN supplementary services and protocols for each PRI are given in the 'Public and Private Voice Networks' section. On each card, 8 channels are enabled by default. Further channels may be enabled by the purchase of additional licenses in 2-channel or 8-channel increments.